Fuel up and feel strong! Learn to care for living things like plants and pets. Take pride in your living space. Use (real) tools like a boss. home and in the world. 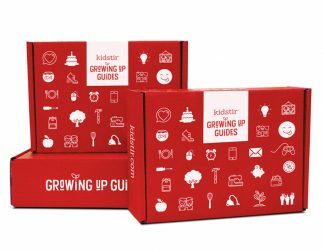 If you've already received some Kidstir boxes, we will build a custom subscription just for you. Our annual program stays the same from year to year, so find out which boxes your little one already has. Click on the boxes you still need to complete your collection below and you will receive them in the designated months. Choose 2 years of Family Circle, Parents, or Rachael Ray magazine, value $8. Shipping is $3.95/month.. REQUIRED: IF YOU HAVE PURCHASED FROM US BEFORE, SIGN IN FIRST.